Though inspection cameras are not new, they've never been less expensive, or more fun, than right now. It’s the next best thing to X-ray vision. 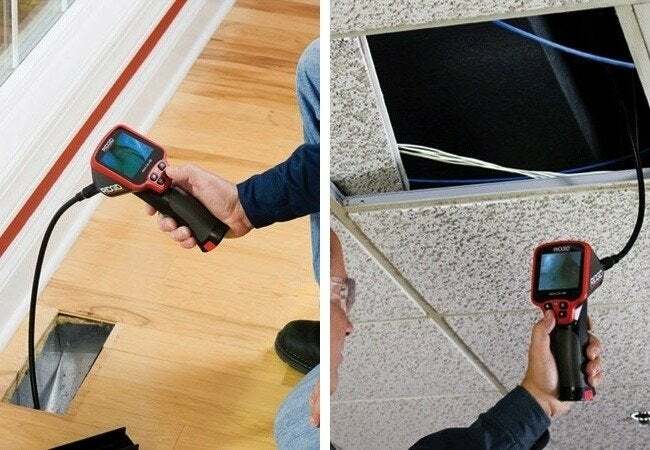 With a mini camera fitted to the end of a flexible, three-foot-long cable, the DEWALT Inspection Camera enables you to see behind walls, under floors, and above ceilings—just about anywhere, so long as there’s an opening of at least 17 millimeters (or a hole that small could could be made). Since the camera and cable are waterproof—and since the product features an integrated LED bulb—you can even see into operational plumbing. In other words, the tool enables you to see parts of your home that would be impossible to see otherwise, at least not without considerable hassle and disruption. Inspections cameras are not new, but today’s models are much more portable and much less expensive than their predecessors. 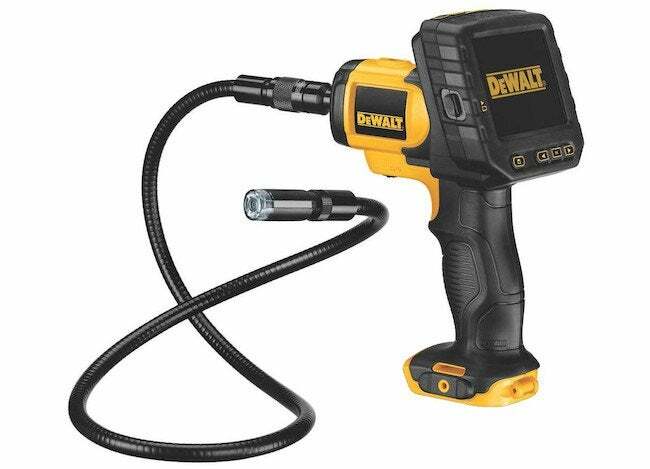 While some no-frills models can be found for about $70, only the DEWALT tool boasts 3x zoom and image capturing. That means the camera takes photos and videos and saves them to a removable microSD card. You can review them later, whether on your laptop or smartphone. Or you can send them to your contractor, so he can have a look, too. As useful as an inspection camera might prove for a serious home improvement project, the tool can also come in quite handy on an everyday basis, helping you locate and retrieve lost items. Because not only does the camera give you the ability to see under heavy, unwieldy furniture, but with its hook and magnet attachments, it can even work to snag an errant earring from under the bed, or an elusive cat toy from behind the media cabinet in the living room.